Can you patent a gene? What about a cell? When it comes to the components of life, and more importantly the ideas, processes, and procedures developed to manipulate these components, what belongs to who? This is a question that is certainly going to be fought out from the patent office to the courts as more and more biomedical discoveries are made. One discovery that has recently (meaning August) been in the news for patent applications is Shinya Yamanaka’s 2006 discovery of the combination of genes that can be used to reprogram adult cells to a pluripotent (capable of becoming any kind of cell) state. With these induced pluripotent stem cells (iPSCs) lies the hope of a suitable answer to the debate over the need for pluripotency, but the social and religious controversy over using human embryonic stem cells (which are naturally pluripotent). While working at Kyoto University in Japan, Yamanaka found that the genes Oct3/4, SOX2, c-Myc, and Klf4 are key to pluripotency. 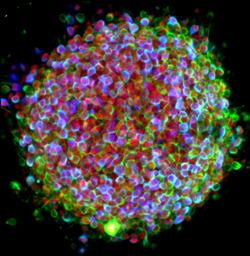 This discovery led to the creation of the first iPSCs. Now, five years and millions of dollars in research later, Kyoto University has obtained patent rights for iPSC technology in six nations and two regions, including the United States. 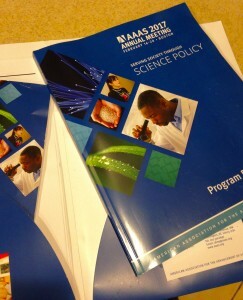 This development leads me back to the question I started with, can you patent a gene? What about the ideas or technology based on those genes? Apparently, you can because Kyoto University has. But, I’m still quite curious about how this will play out functionally. The discovery of iPSCs was huge news. It prompted researchers around the world to start working with iPSCs, many of whom have subsequently made their own discoveries, published their own research in peer reviewed journals (just type pluripotent into PubMed you’ll see what I mean), and expanded greatly on the existing body of knowledge about pluripotency. This includes the discovery of numerous variations of gene combinations that play a role in pluripotency. So if Kyoto University owns the original idea, do they own everyone elses’ work too? According to university spokeswoman Akemi Nakamura, they do. Nakamura says the patent broadly covers variations of the technology developed since 2006 in laboratories around the world. So if Kyoto University owns the right to the genes, and the subsequent developments based on the genes what does that mean for iPSC researchers? Right now the university says it will not restrict research using iPSCs for non-profit purposes, so that would mean research whose end goal isn’t the marketing of a specific product based on iPSC technology will be able to continue unhindered. Companies that want to work with iPSCs for profit may have to pay a licensing fee. Although, it is important to note that not all iPSC research is based on these genes – there are other combinations of genes that can induce pluripotency, and thus lines of inquiry in this field that don’t belong to Kyoto University. How important all of this will be, and when it will be important is a bit murky. iPSCs have their own problems (namely, teratomas) and haven’t yet been developed for widespread, let alone commercial, use. Though, with all of the resources being poured into iPSC development, I think it is only a matter of time until the cells become more useable. This is a story to watch, it is hard to say exactly how it will work out but it is sure to be an issue that continues to come up. As for me, I’m not really sure where I fall on this issue. I can see the need to protect intellectual achievements and make sure that the wrong people don’t profit, but at the same time I wish it wasn’t necessary and open inquiries could be pursued without people having to worry about others cashing in on their ideas. If only it could be that way. Scientists can use the knowledge they have to be both moving and thought provoking, but also be charming and clever, getting a few chuckles out of whoever is listening. Case in point: Neil deGrasse Tyson. For those who don’t know, Tyson is an astrophysicist and he is awesome. Over the course of the year doing grad school work at UW-Madison, I’ve written a few different articles for class assignments. I’ve decided to publish this article here, though it should be noted that this was written in December 2010 from interviews conducted throughout the Fall of 2010. I feel that the information and perspectives still hold a lot of value, so I wanted to share it anyway. Managed relocation is a potential solution to the biodiversity loss posed by climate change, but the policy’s unpredictable risk ignited the scientific community in a debate that questions how society views conservation in the context of impending extinction. Every summer, your backyard garden produces a cornucopia of vegetables because it gets enough sunlight and rain to make your plants bloom. But, then your neighbors plant trees in their yard that cast a shadow on your garden. Without sunlight your plants wilt and suddenly its goodbye tomatoes. So what do you do? Well, next year you move the garden to a sunnier spot. Problem solved. Moving your garden to a sunny spot is an easy way to keep up with the changing environment of your backyard, but would it work on a larger scale? The rapid changes to ecosystems around the world predicted by the International Panel on Climate Change (IPCC) include the widespread extinction of species that don’t adapt fast enough. That is, unless a policy like “managed relocation” — the shifting of species to new environments to counteract the affects of climate change — can be implemented successfully. Some conservationists in the United States have jumped on the idea of managed relocation. The most notable project so far is the transportation of the Torreya (Torreya taxifolia,) a conifer tree, from Florida to North Carolina by the independent group the Torreya Guardians. 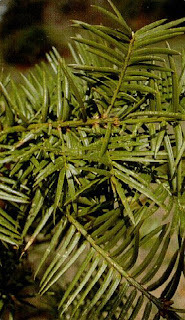 Whether the Torreya experiment will work is unknown, but it has drawn attention to the risk associated with relocating species. Unlike moving your garden to that perfect sunny spot, moving species involves a fragile web of ecological connections that when broken, could create more problems than solutions. Managed relocation is exemplary of an overall trend in ecology toward an interventionist approach focused on species. This trend is a challenge to previously established conservation policy that focused on protecting habitat to help species, and has opened debate about whether human meddling will save or sacrifice Earth’s biodiversity. David Richardson, Professor of Ecology and Deputy Director of Science Strategy at the University of Stellenbosch (South Africa,) says whether more attempts at managed relocation will be made and whether they occur with the sanction of government will depend on the success of projects like the one conducted by the Torreya Guardians. Moving species through managed relocation poses both a risk of total failure, and a risk of extreme success. The fragile connections between species in an ecosystem cannot be easily replaced, and even the most heavily researched relocations can fail completely. Unexpected new connections can also form, causing a species to explode in their new habitat and become invasive. According to Ralph Grundel, a research ecologist with the United States Geological Survey (USGS) in Porter, IN the complex science of moving species is enough reason to be skeptical that managed relocation will succeed. 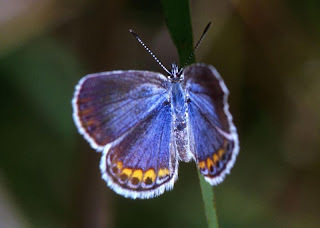 Grundel’s own work relocating the Karner Blue Butterfly only a few miles away from its natural range has failed, even after extensive research into the habitat specifications needed by the species. With debate mounting about whether humans could or should micromanage the survival of species, researchers like McLachlan and Grundel say that a redefinition of the way the US thinks about conservation is needed to consider the ethical problems posed by intervening. According to Ben Minteer, Associate Professor at the Center for Biology and Society at Arizona State University, for over a century the United States’ stance on conservation (outlined by the Endangered Species Act) has been to protect species from human involvement in the species native environment. But, if the habitat can’t be maintained – due to climate change – then a new policy will be needed. According to Minteer, the majority of researchers who have investigated the implications of climate change on biodiversity are in agreement that a plan is needed for future action. But, whether managed relocation is that plan is uncertain. Hellmann says managed relocation can be thought of like a medical treatment. Cancer patients are given chemotherapy even though it has detrimental side affects, because the treatment is more beneficial than the side affects are harmful. Managed relocation may be a treatment for species suffering from climate change, but researchers don’t know if the benefits will outweigh the side affects. While some researchers are busy figuring out the feasibility of managed relocation, others have taken a different approach to finding solutions to the extinction problem posed by climate change. “We aren’t going to be good at managed relocation, and the consequences of not being good at it go back to this larger issue of how we as a society deal with changing climate,” said McLachlan. According to McLachlan, instead of trying to make solutions like managed relocation feasible researchers should attack the underlying problem, climate change itself. When compared, the uncertainty of managed relocation makes the certainty of reducing green house gas emissions a sensible undertaking. According to Grundel, the United States is in the middle of what he calls “devilishly difficult decisions,” about ecological policy. While researchers may be at odds about human interference, one thing is certain – rash future action could trigger unexpected detrimental effects. Last friday the Bronx Zoo (that would be in New York for those of you unaware) announced that it was missing an Egyptian Cobra (which is poisonous) from its reptile house. According to the zoo, the 20-inch snake is most likely in the vicinity of the building, which was immediately closed off and is being searched. The missing snake was fodder for late night comics like David Letterman, and has made a media buzz. However, for the skeptics among us who don’t buy the zoo’s story that the snake didn’t escape into the public, there is now a Twitter account that is assuming to chronicle the snake’s adventures as it roams Manhattan. Proof that the snake’s more than 35,000 followers probably didn’t have a whole lot to do with themselves today…but entertaining nonetheless. 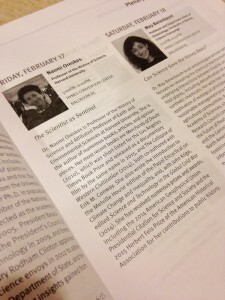 Update 3/30/11 – As of 4pm BronxZoosCobra has more than 150,000 followers on Twitter. Glad to see that people can have a sense of humor about something like this. Update 3/31/11 – At 4pm today the Bronx Zoo announced that the Cobra, which was missing for seven days, was found in a section of the reptile house which was closed to the public. 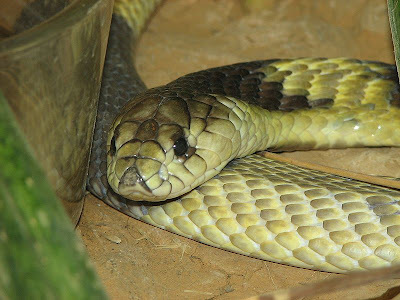 The snake was found coiled in a dark corner, and will “rest” for a few days before being returned to the exhibit.